CRKT Kommer Bear Claw Plain. Bear Claw. Designed by Russ Kommer of Anchorage, Alaska. 5 5/8" overall. 2" AUS-6M stainless tear drop blade with bead blast finish. Full tang. Black Zytel® handles. 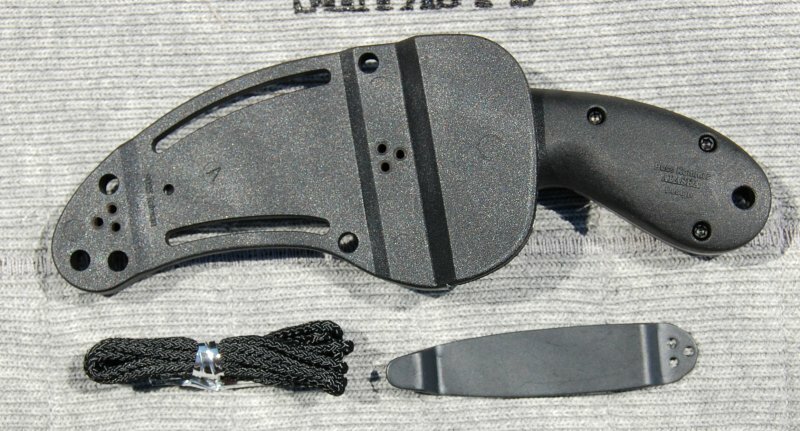 Black Zytel sheath includes clip, screws and lanyard for a variety of carry positions.